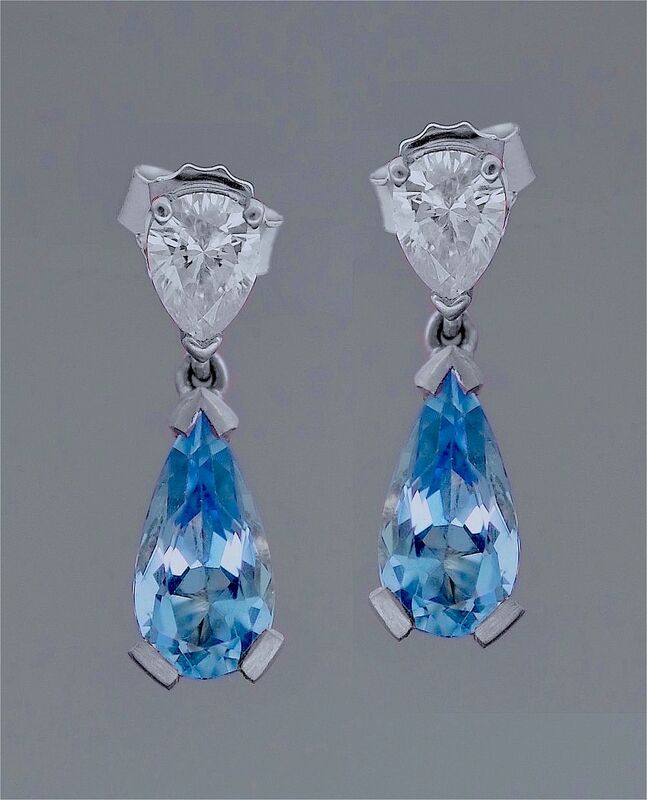 These superb drop earrings are for pierced ears. The top of each earring has a pear shaped diamond set point down in an 18ct white gold setting from which is suspended a pear shaped fine aquamarine set point up in an 18ct white gold setting. The earrings are for pierced ears and are hallmarked by the London Assay Office for 18ct white gold and 2016 and bear the sponsor's mark "A&SP" for Alan & Sue Poultney.